Elikatira is out with new hairs once again. They’re fantastic, as expected. [e] has – bar none – the absolute best colors, best HUD system and best branding in SL hair IMO. Why? Well for one, the colors are amazing, but this is to be expected. The variety of colors, dips, and dyes is simply overwhelming in the best way. The packaging is thoughtful – the HUDs are simple, clean and you don’t have to try to remember what the hair actually looks like when you go to wear it again. You don’t have to include your own snapshot and file it with the pack to jog your memory…because there is a picture of your hair on your HUD and in the pack as well as a style card crediting everything else! For me, this is a quality of SLife thing that is brilliant. I wish all hair makers did this. Andddddd I know I haven’t taken off my Lara Hurley appliers since I got them. 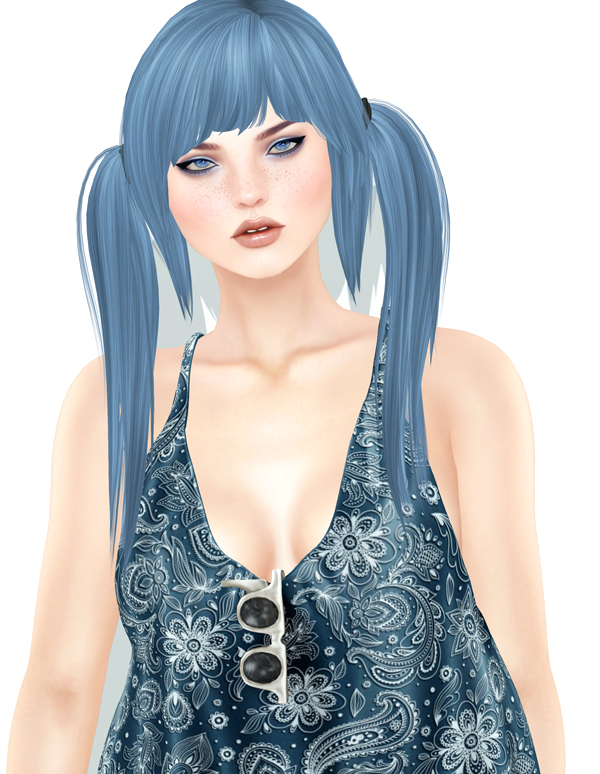 These and Glam Affair’s numerous appliers look like the “me” I have known for a long time. I cannot wait for more xD. I also added beauty marks below new from League, which you can pick up at their main store. I didn’t love the makeups that are on the new Milla skin appliers but the beauty marks are perfect and you can buy them separately!